Visit our pop-up-store in shopping mall OC Harfa in Prague - only in December 2018! 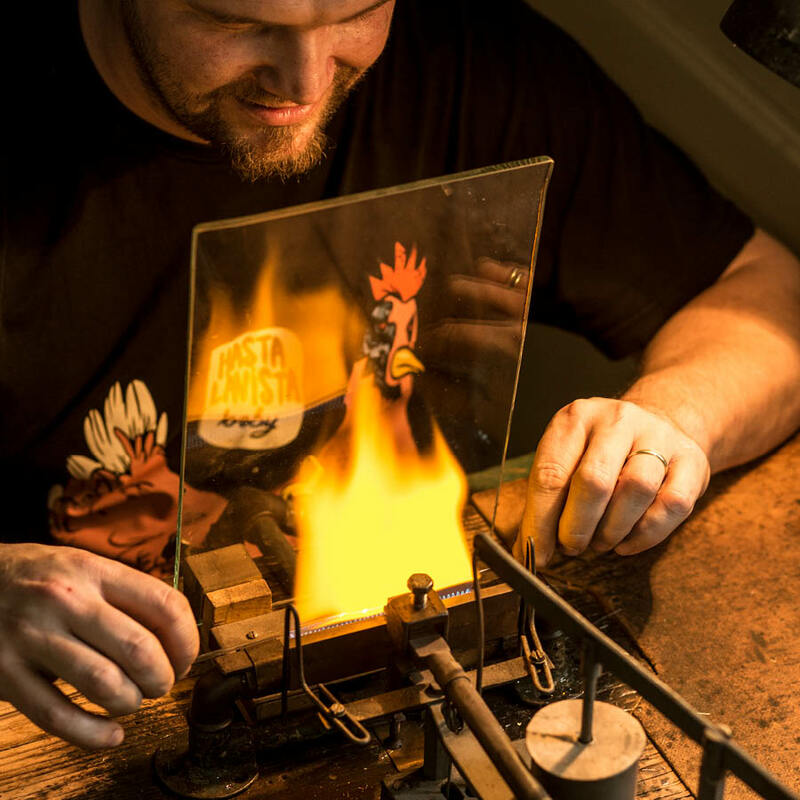 At the Rautis family company you can learn about the unique craft of glass bead blowing and hand-manufacture of Christmas bead ornaments, whose roots in Poniklá date back to 1902. We are the last company in the world still preserving this traditional technology and keeping the manufacturing process current today. The book Glass bead ornaments from Poniklá provides a detailed look at the history and contemporary character of glass bead hand-manufacturing. It included authentic accounts from several decorators, a glass bead glossary and a chapter on the use of glass beads to adorn folk costumes. 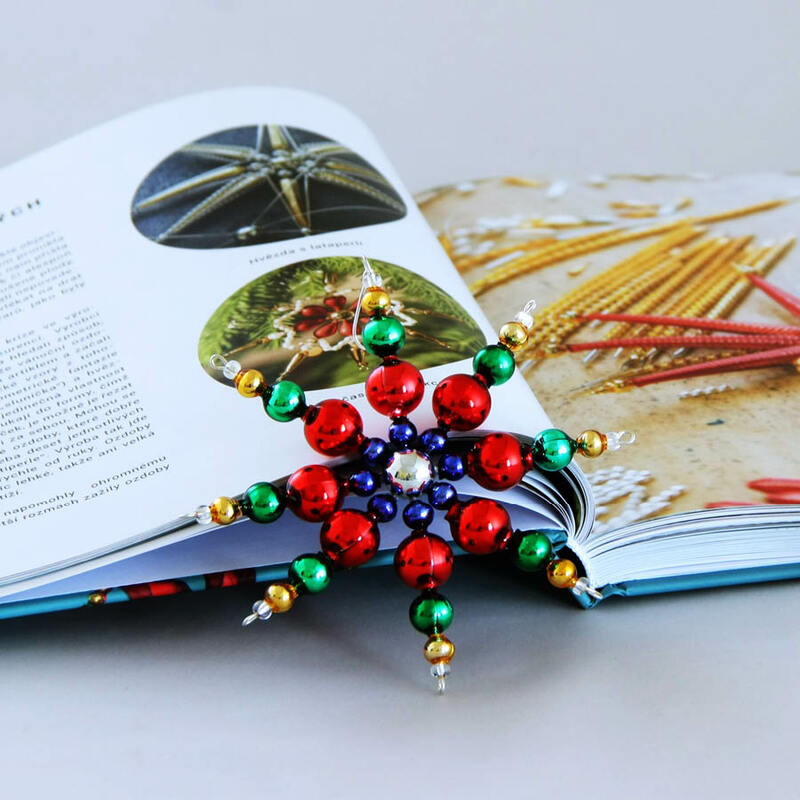 Almost half of the book is comprised of detailed instructions on how to make glass bead ornaments. The book is available in our company store in Poniklá or in our e-shop. 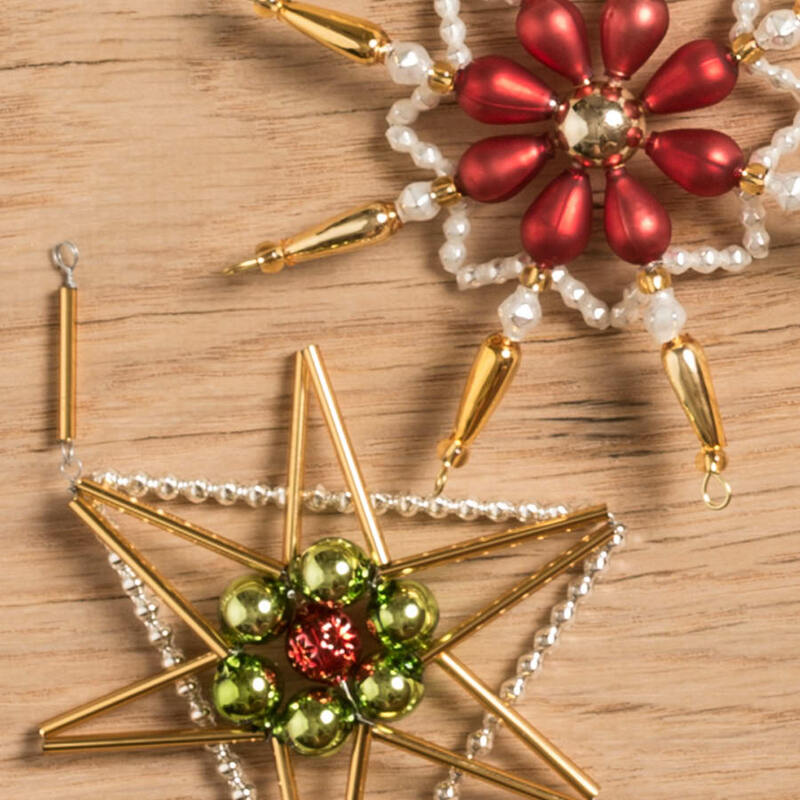 We have creative hobby sets specifically designed for schools that include enough beads to make 50 ornaments. 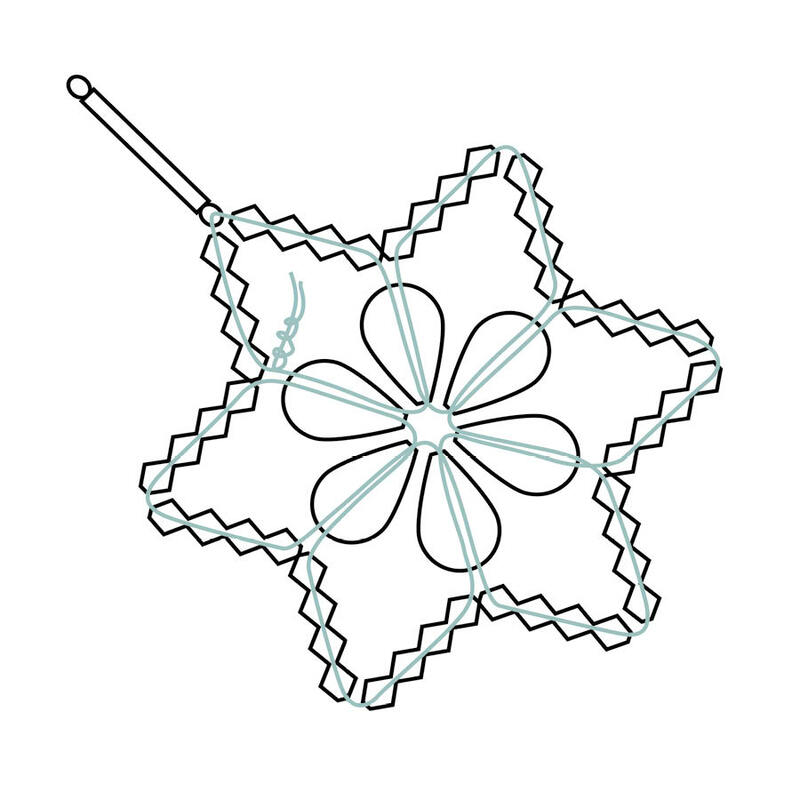 They can be used in the classroom to introduce children to our craft and help them make their own ornaments. 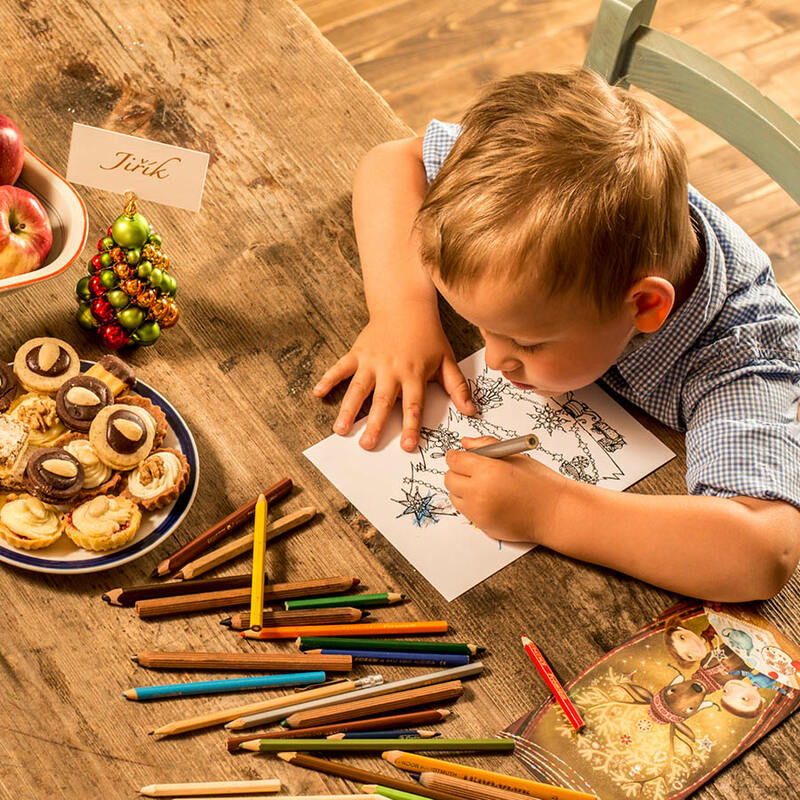 The sets include all of the material you need, a teaching guide, detailed instructions and a sample of a finished ornament. The sets also include a short video about how the giant Krakonoš gave the glass bead hand-manufacturing craft to people. The video also shows all of the manufacturing steps that take place before the ornaments are twisted together into their final form. We would love to welcome you and your class at our facility in Poniklá. 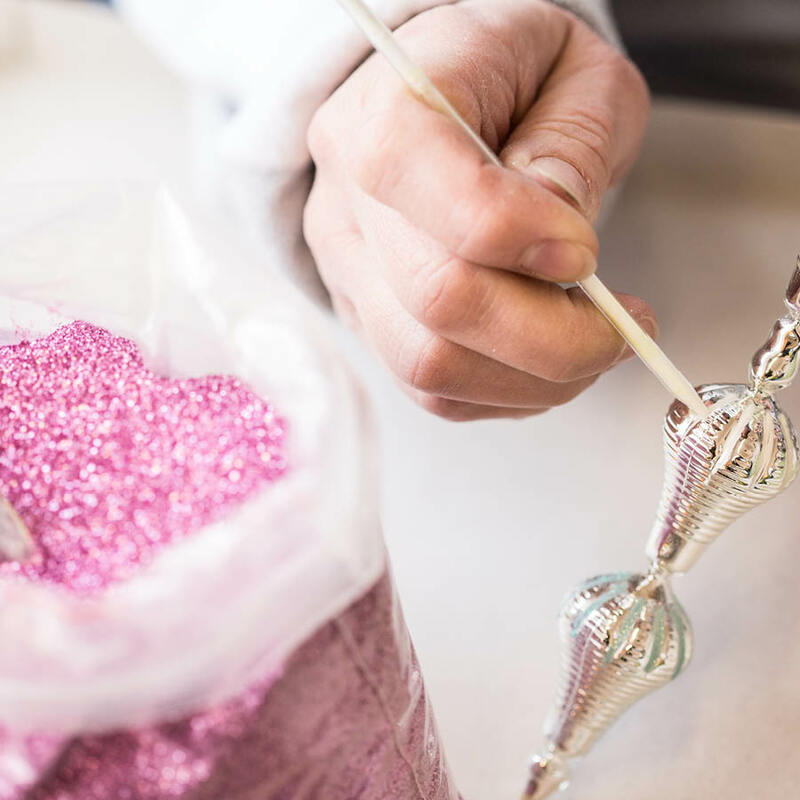 During a tour you can see all of the steps in the manufacturing process and make your own ornaments under the guidance of an instructor in our creative workshop. You can find more detailed information including admission prices and how to make reservations in the Visit Us/Tours section. 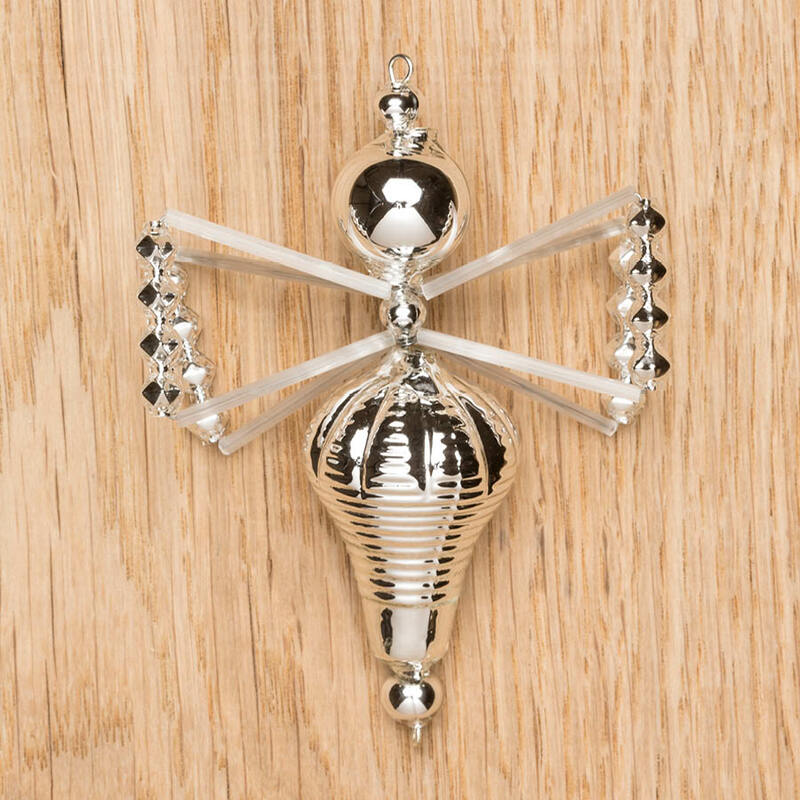 If you like to support Czech handmade products and would like to offer our ornaments and/or hobby sets in your store, please see our comprehensive catalogue with all of our collections. You can choose from over 600 products that are on stock year-round in our warehouse. We value each and every one of our customers and try to provide the best support we can. 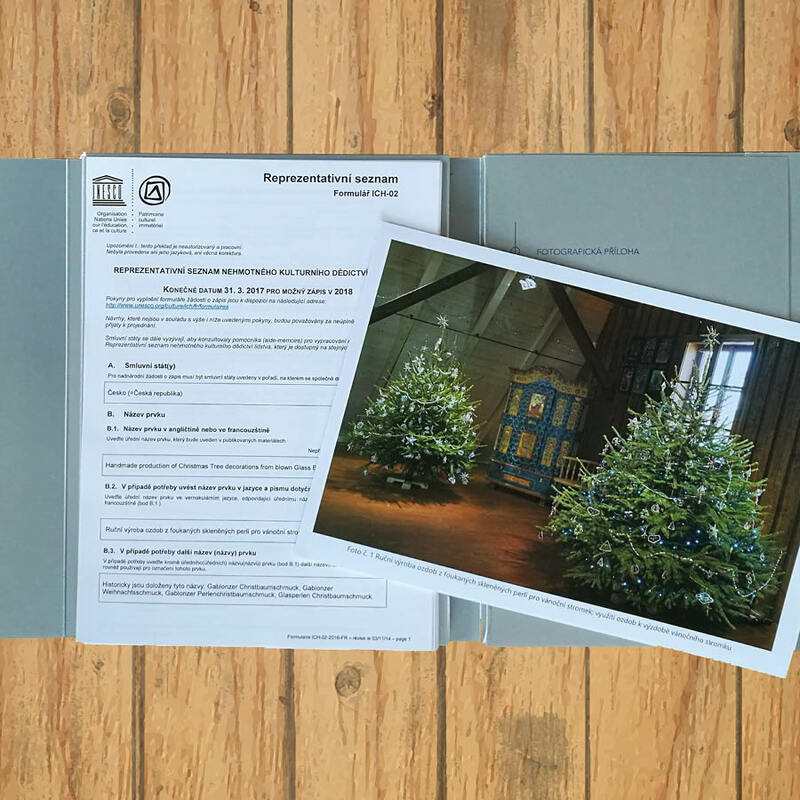 We would be happy to share various presentation materials such as informational brochures about our craft and tours, DVDs with a short film about how the giant Krakonoš taught the glass bead hand-manufacturing craft to poor mountain people, photos and written materials about the history of glass bead ornaments. 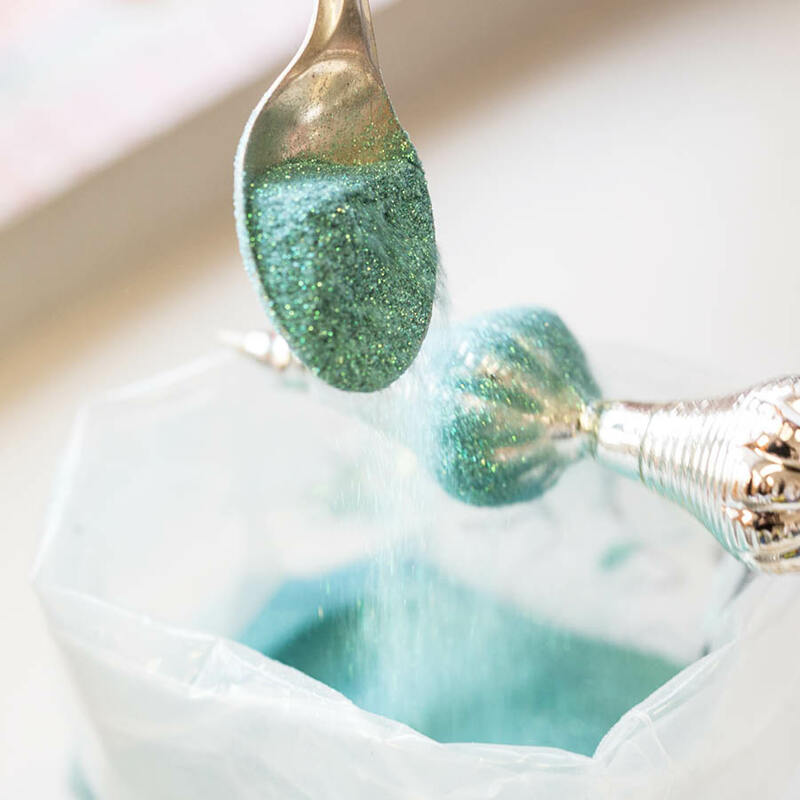 We can add a sparkle to your company Christmas party with a glass bead ornament workshop. We come to your facility and bring all the material we will need along. The village of Poniklá is the only place in the world where the traditional craft of glass bead hand-manufacturing has been preserved. 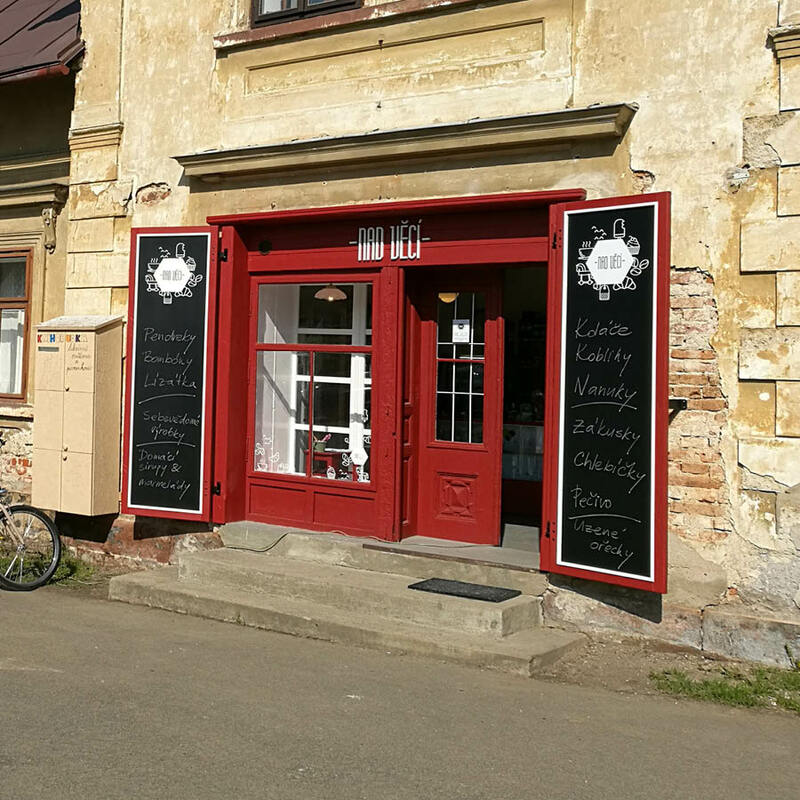 The first glass bead blowing workshops were established in Poniklá in the late 19th century. 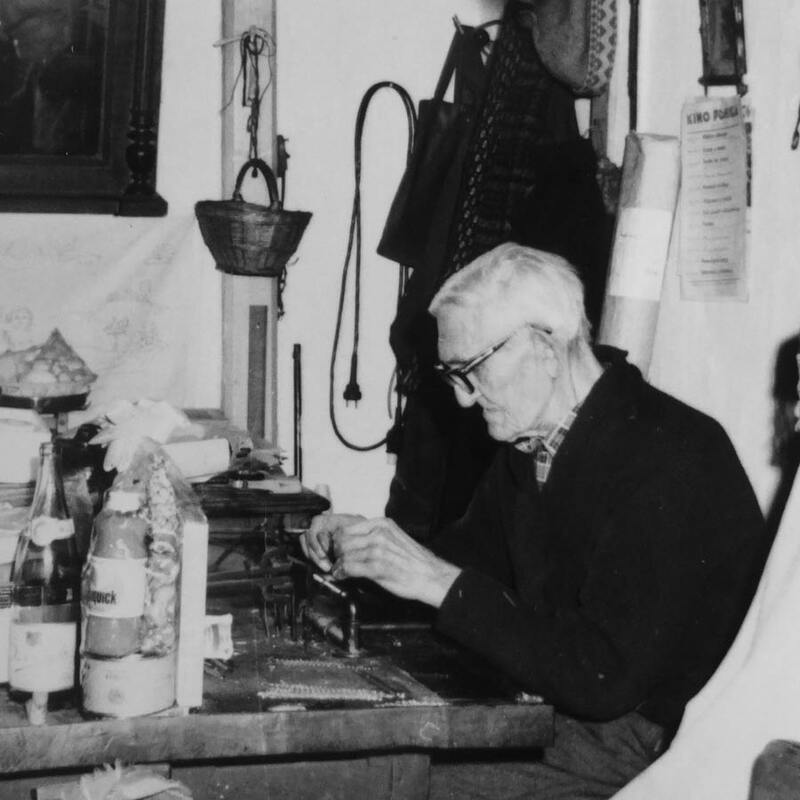 Often, glass bead blowing was the livelihood of entire families. The process of blowing and decorating ornaments has changed very little since then. 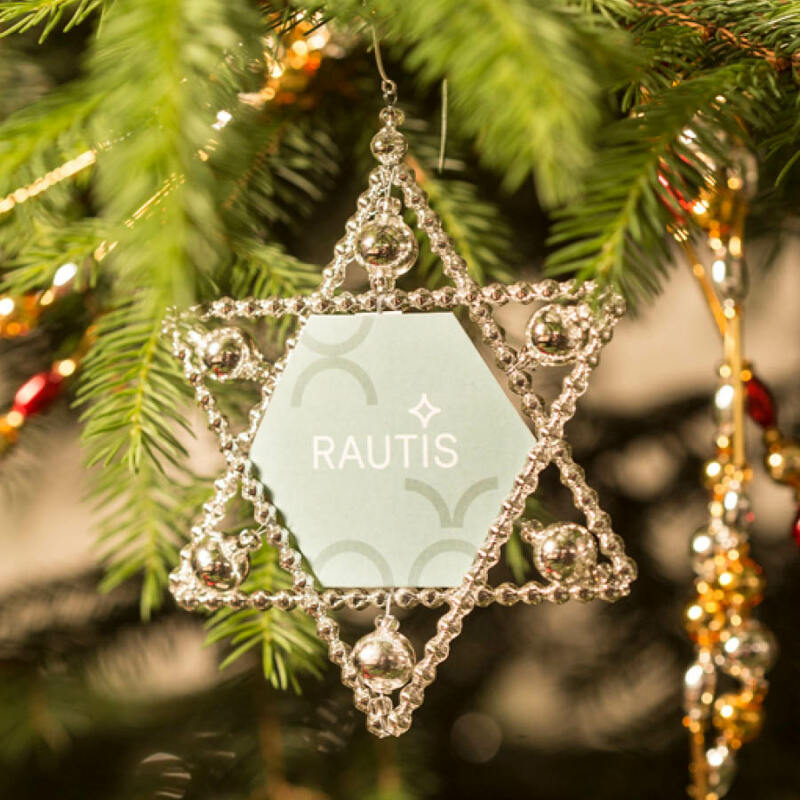 At Rautis, you can see the entire manufacturing process: how beads are blown through glass tubes, then silver coated, coloured and cut, and finally assembled into ornaments. 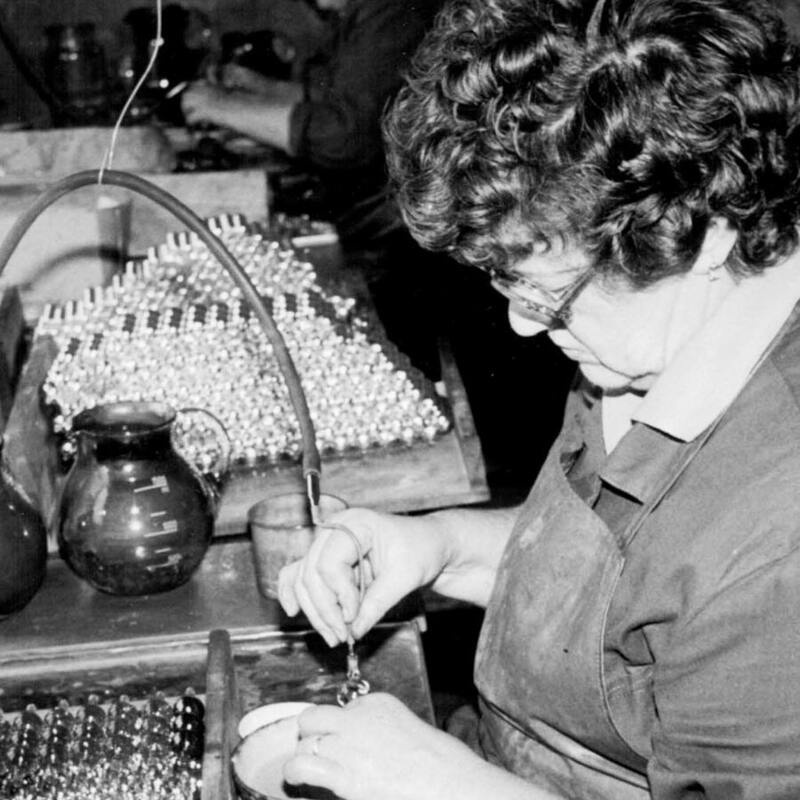 The entire manufacturing process is done by hand. 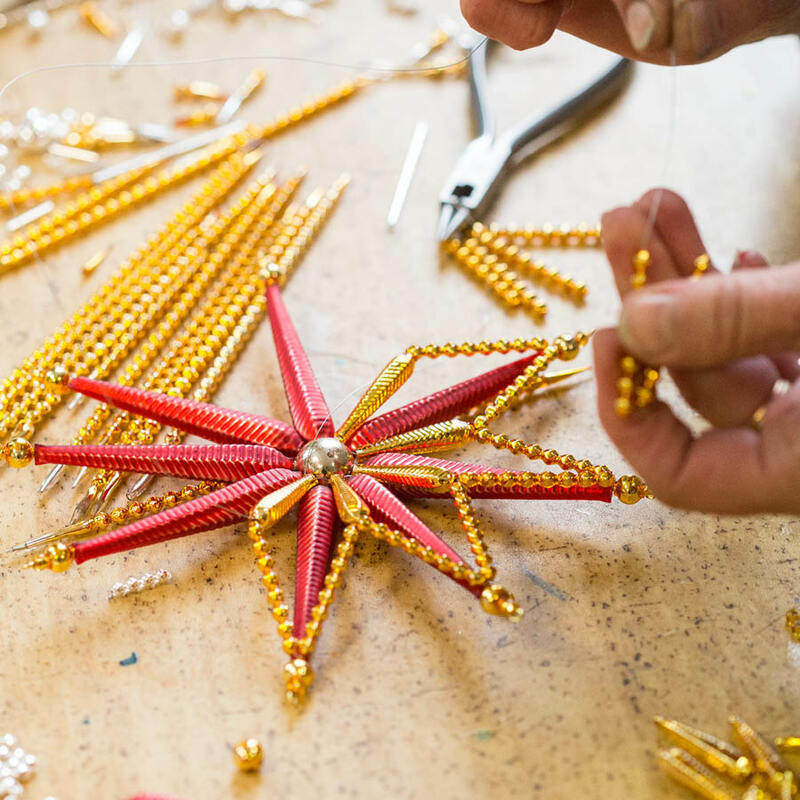 During the tour you will learn how each bead is worked on by at least six pair of hands before it becomes part of an ornament. Tours last about 40 minutes. 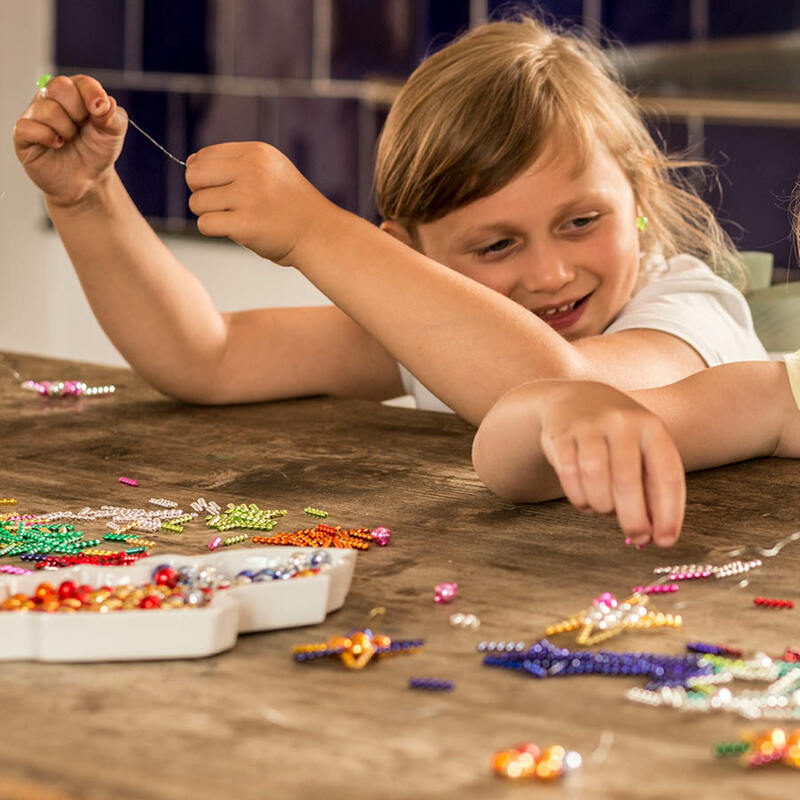 After the tour, you can visit our creative workshop and make your own glass bead ornament. Tours take place in Czech. Written interpretative texts are available in English, German and Polish. We recommend reservations to avoid waiting. Our busiest seasons are during the summer school holidays and before Christmas. 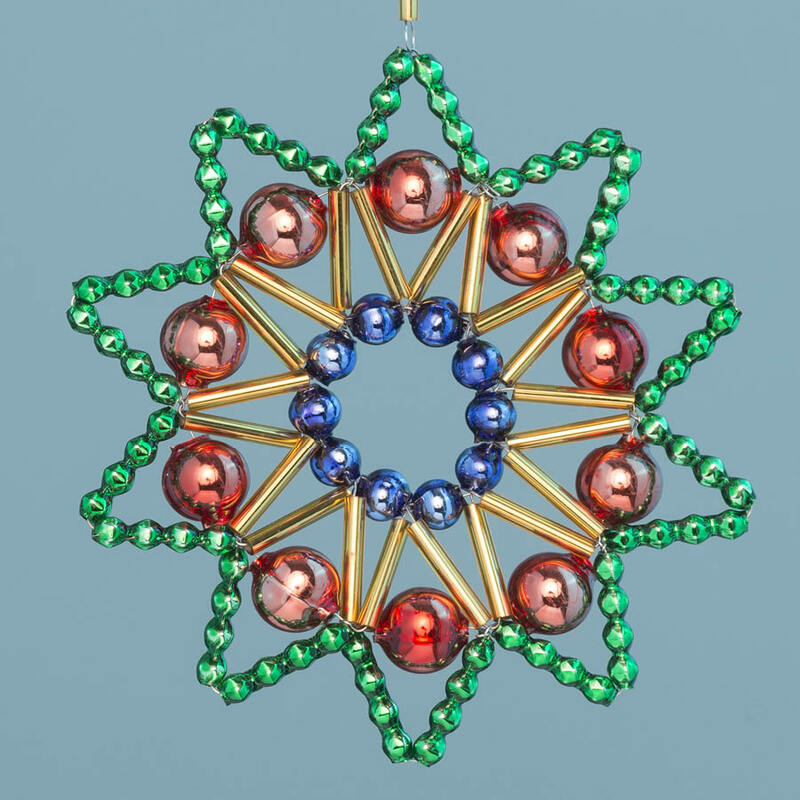 Assembly of simple star ornaments in the creative workshop: CZK 60 per star. 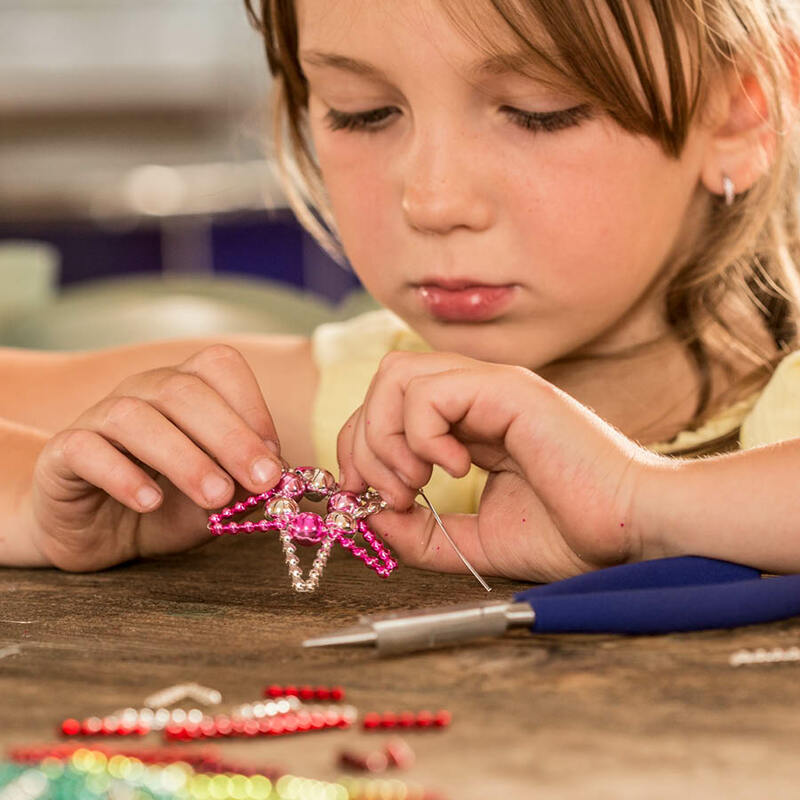 Let us teach you the basics of glass bead ornament assembly in our creative workshop. 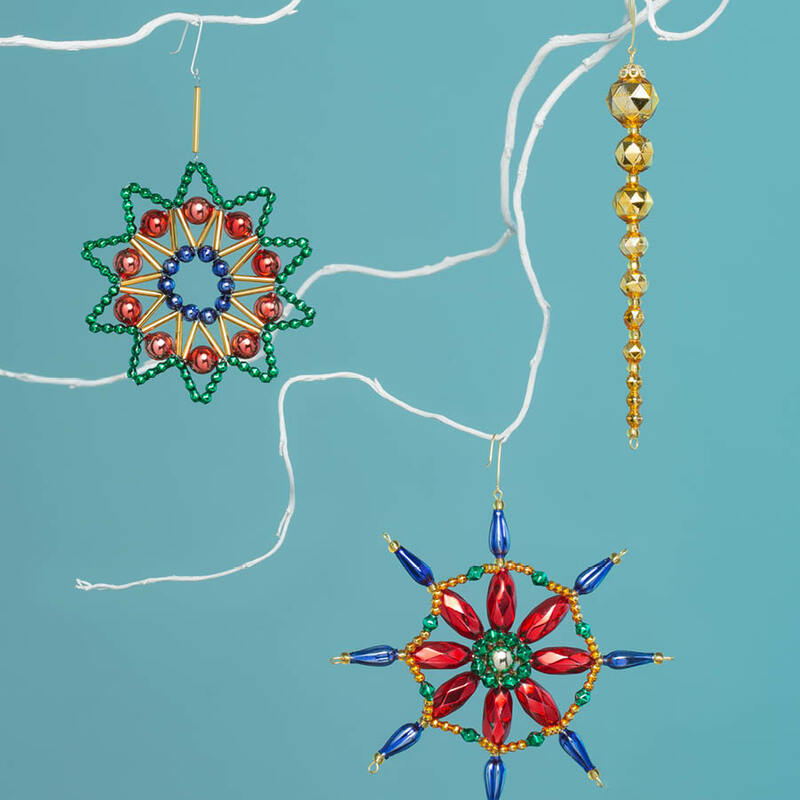 Under the guidance of our instructors, you can try your hand at making simple ornaments or make one of your own design. You pay only for the material you use and you can stay as long as you like in the creative workshop. 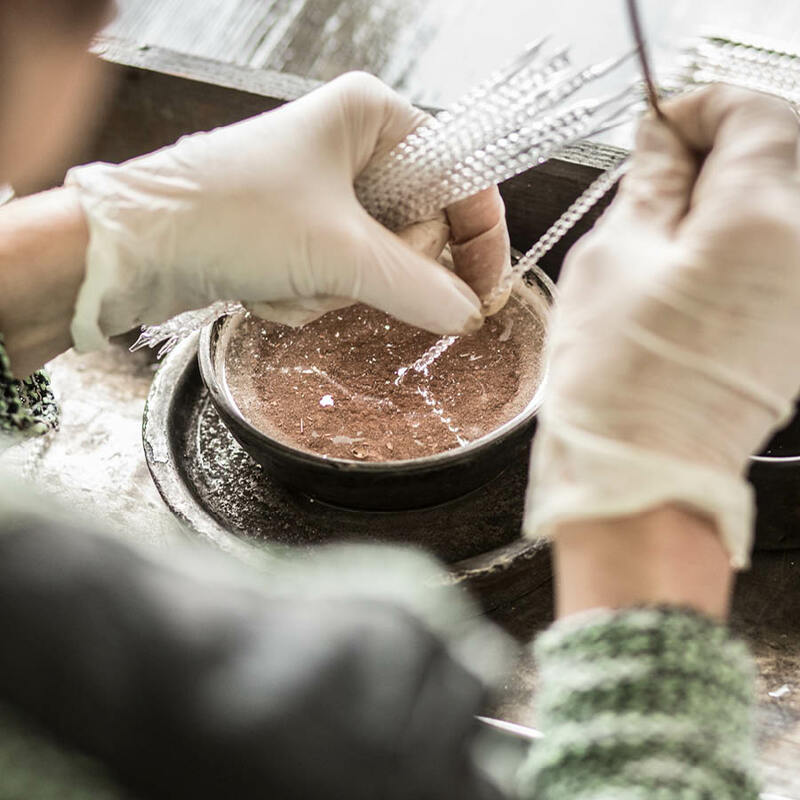 We recommend combining a visit to the creative workshop with a tour of the manufacturing facility, where you can learn about all the steps in the hollow glass bead production process. The creative workshop can accommodate 30 people at a time. Reservations are generally not required but if you plan on spending a long time in the workshop, we recommend calling us in advance to make arrangements at: +420 733 737 430. Following a crisis in bead sales, a new product was introduced in 1912: glass bead Christmas ornaments. 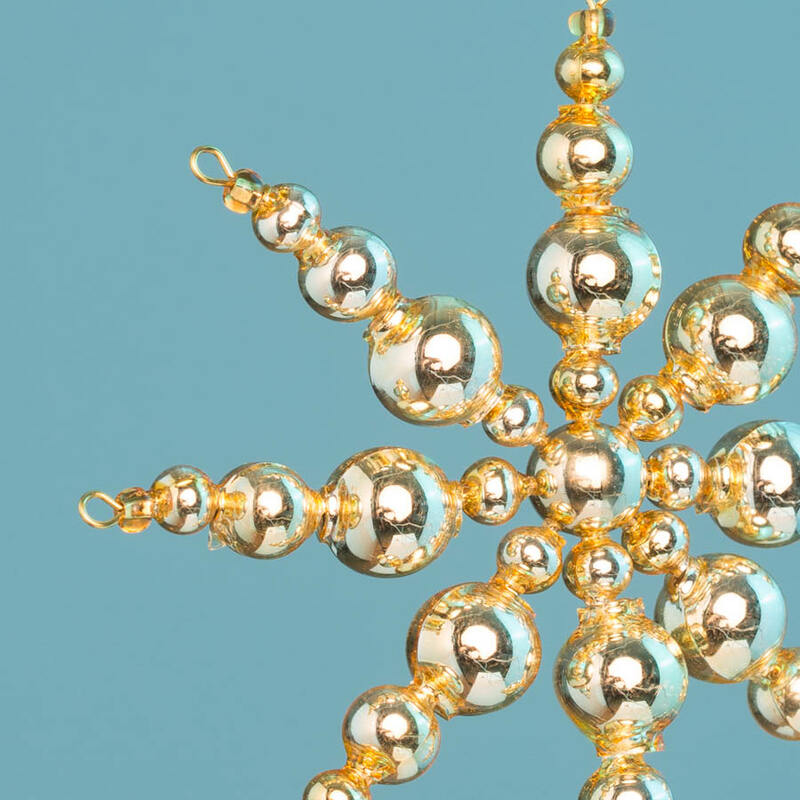 Thanks to the new fashion of Christmas tree decorating that was spreading in Central Europe at the time, the bead ornaments quickly became popular both locally and across Europe. 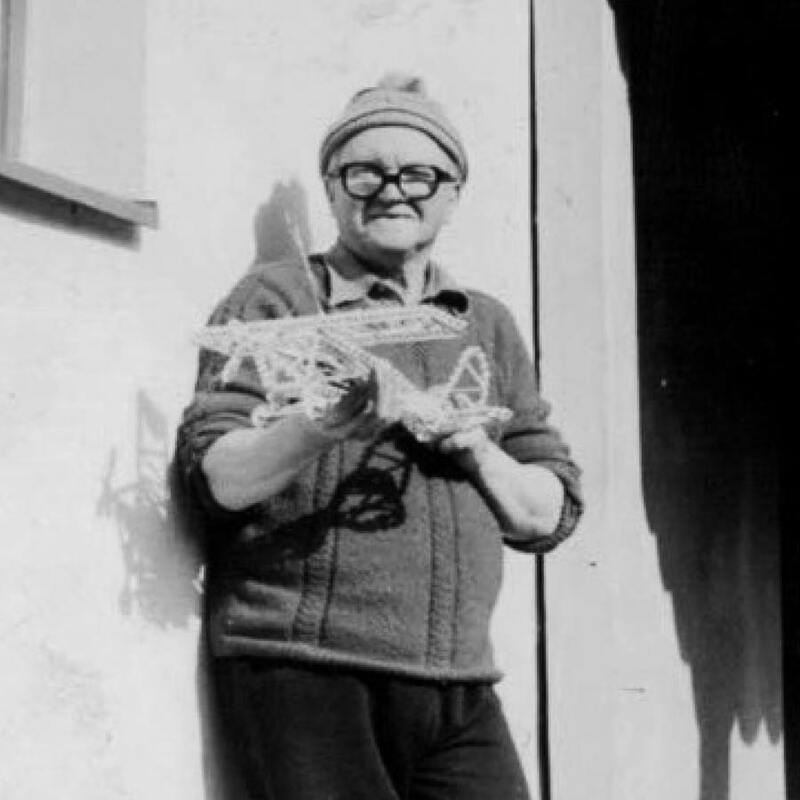 Today, this traditional craft continues to develop. You can learn about the entire manufacturing process on a tour of our Poniklá facility. You can also visit our creative workshop and try your hand at making your own glass bead ornament. 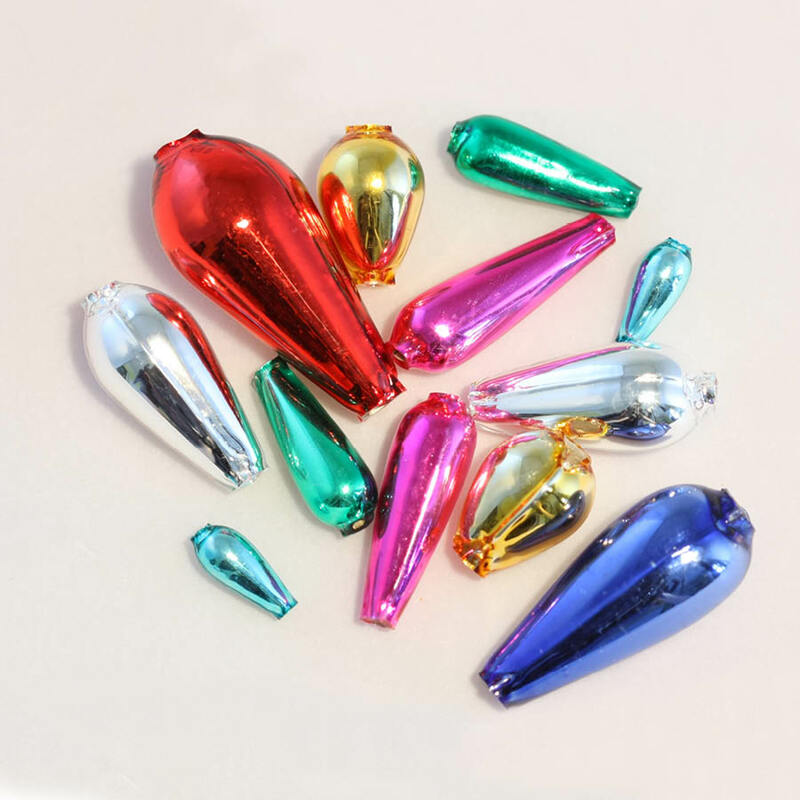 Our company store holds the largest assortment of glass bead ornaments, with over 600 different types, along with creative hobby sets and glass bead ornament-making materials. 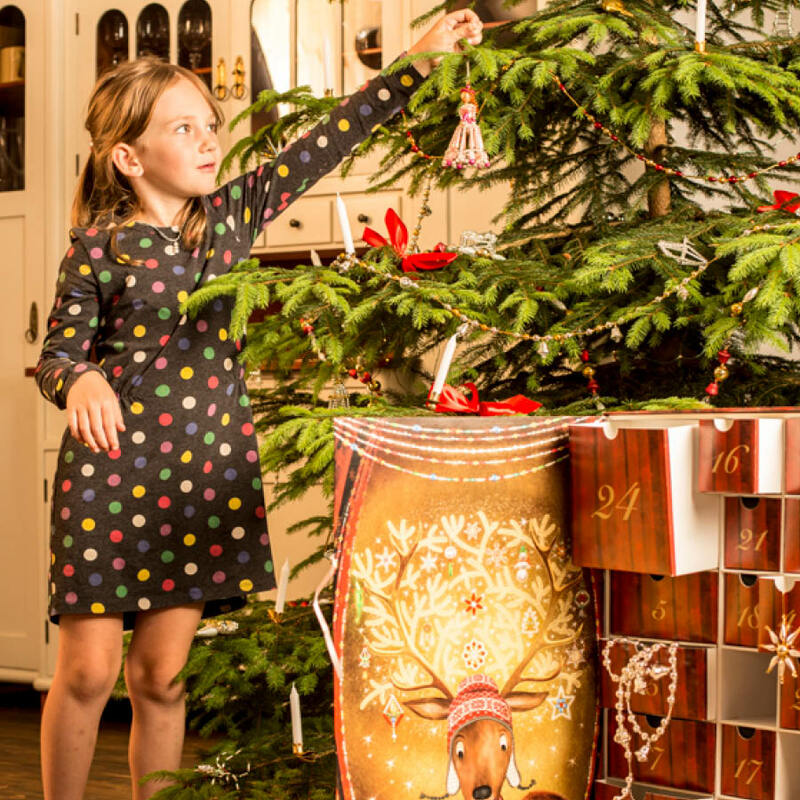 You can also see our products at many Christmas markets, workshops and museum exhibitions. 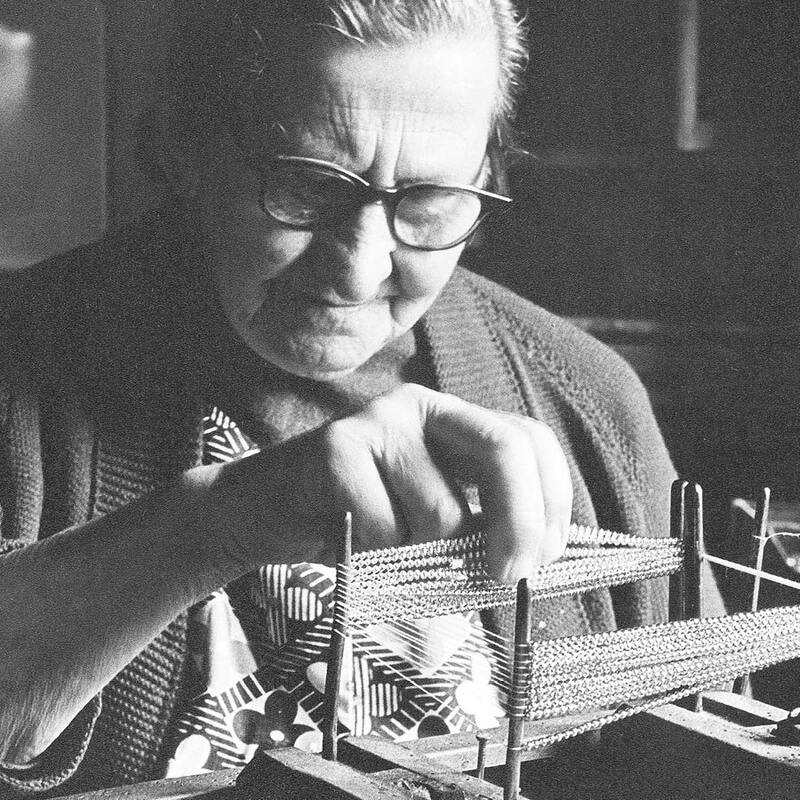 The uniqueness of glass bead manufacturing has been recognized through its nomination to prestigious UNESCO Intangible Cultural Heritage List. 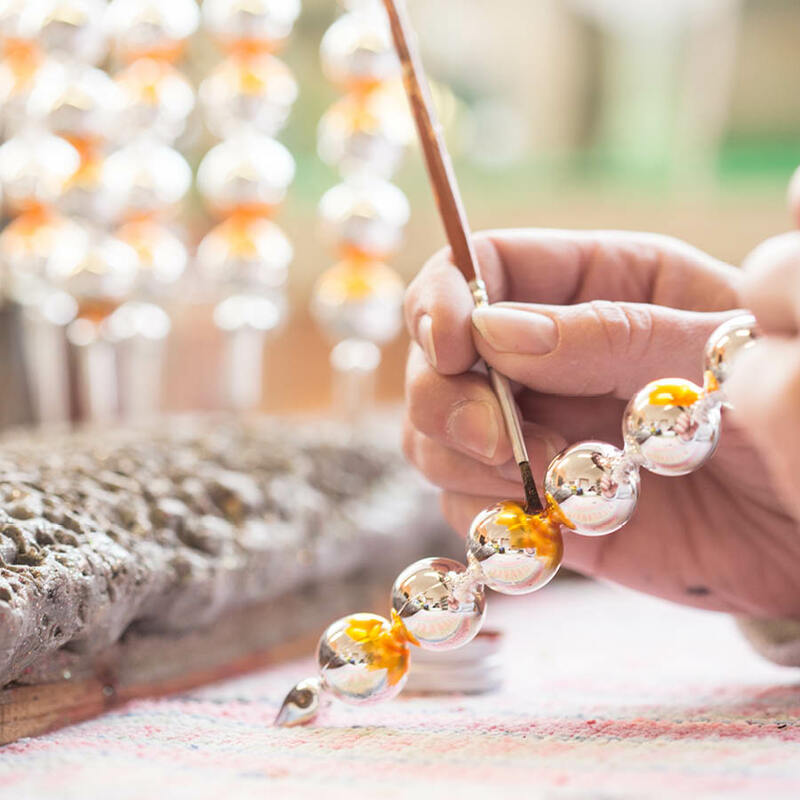 2017 – The Czech Republic nominated the craft of blown glass bead Christmas tree ornament hand-manufacturing to the UNESCO Intangible Cultural Heritage List. 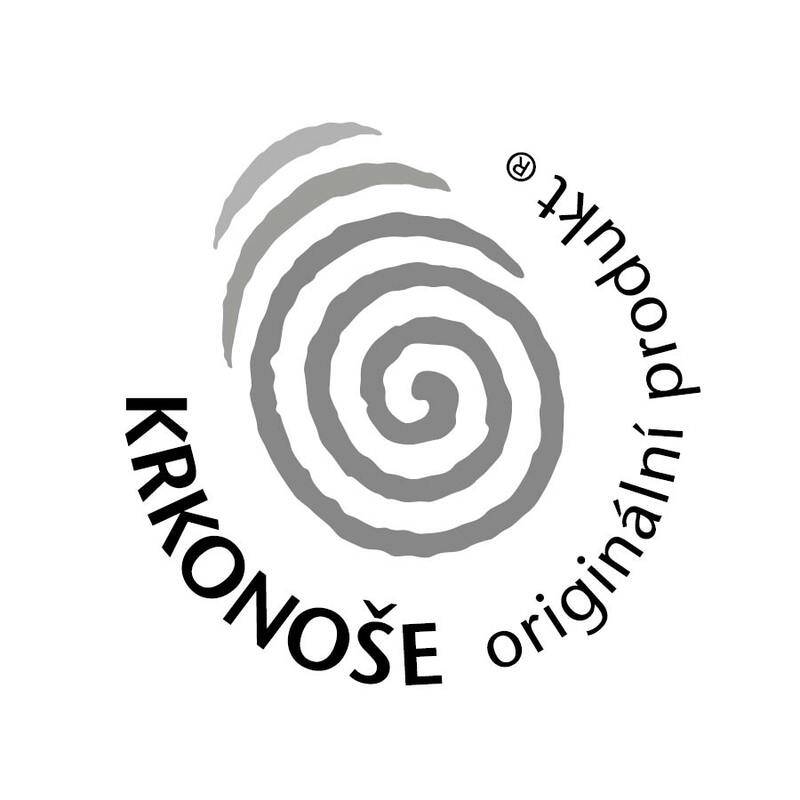 All of our products carry the special Krkonoše Mountains Original Product logo, which means that they have been subjected to a strict certification process that guarantees their local origin, unique quality, high percentage of handwork and environmental-friendliness. 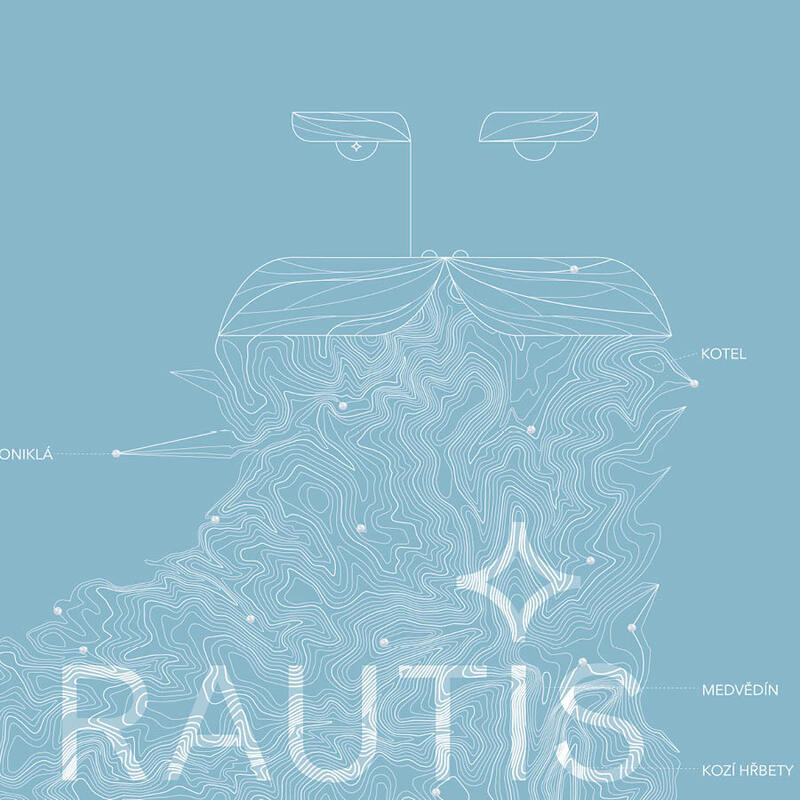 Rautis, a.s. was registered in the Regional Court, led by the Regional Court in Hradec Králové, Section B, File 2771, on 27 December 1995. The implementation of the website was supported by the budget of the Liberec Region.